Posh Bingo will be laying on a £1k guaranteed honey trap bingo game and you will feel the seduction of this one when you learn bingo tickets for this game will cost just 20p each to purchase. The honey trap bingo game is set to take place at Posh Bingo on Sunday night 26th June. It will be kicking off at 9.45pm and you can log onto their site as from now to pre-purchase your bingo tickets – simply go to the (specials tab) from the bingo game lobby. There is however a very cheeky bingo twist to the honey trap game, as the line winner will definitely be having the last laugh. The bingo winnings will basically be paid out in reverse. Check out the pay table and you will see exactly what we mean. Plus, you could even win some cash on the honey trap, without even winning this game of bingo because all players who get that dreaded (1tg) will share in a £75 cash prize. Have you been charmed yet? There is loads going on this half term at Posh Bingo where you could win extra JP’s, bingo funds and prizes. You can participate in games like the posh ton and then some, half term happy hours, old school chat and school day misdemeanours. Full details of all these half term bingo deals from Posh Bingo can be found in their promos section. In this area you will also be able to view just what else posh have going on, so it is worth taking a look at. 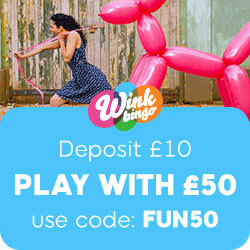 If you have not yet tried out Posh Bingo for yourself, you may be interested to learn that they welcome you with a deposit £10, get £20 free bonus. Posh Bingo use social media sites like facebook and twitter. You often find quite a few exclusive offers running on their facebook fan page, so it might be worth (liking) if you do become a regular posh player. This entry was posted in Bingo Blog and tagged Posh Bingo on June 1, 2011 by Emma. Have you ever wanted to visit LA, home to the rich and famous of America? If you answer to this question was yes, then read on as Posh Bingo are bringing you the chance to do just that from playing your favourite pastime, bingo. What would you do on your trip to LA? Take a walk down Hollywood Boulevard? Hit the shops down Rodeo Drive (Just like Julia Roberts did in the blockbuster film, Pretty Woman)? Head to the Hollywood hills to see if you can spot a star? Visit Universal Studios, where some of the most famous films have been made? Well Posh Bingo are bringing you the opportunity to do all that are more with their latest bingo promotion, so if you are interested in this one here is exactly how it all works. The Win a trip to LA bingo game which is worth around £3,000, is set to take place at Posh Bingo on Sunday 3rd July, 2011. The LA game will play at 9.45pm and you currently have two ways in which to get tickets into it. Now you can simply log onto Posh Bingo from now and purchase your bingo tickets for this game at a cost of £1 each or alternatively you can try and gain some free tickets and this is how. You can earn free tickets for the (win a trip to LA) game by accumulating points. Each time you clock up 500 points it will equal on free tickets. Those all important LA points can be picked up as follows. Send Posh Bingo an email telling them (in 100 words or less) where you would most like to go in LA and why – Pick up 250 points. Posh Bingo will also be running some golden ticket weekends where you could get 1 free LA card instantly by winning bingo on the special golden ticket pattern, so these would be worth looking out for. This entry was posted in Bingo Blog and tagged Posh Bingo on May 9, 2011 by Emma. Posh Bingo has a Pampering Spa Experience worth £2.5K up for grabs this April. Play a special bingo game, win this amazing gift on Mother’s Day and treat yourself to a Spa treatment with all the frills. Chill out at a posh spa of your choice and get pampered and polished as you relax and recoup. The £2.5K Spa Experience plays at Posh Bingo in April and you can play this big bingo game with free tickets too! Pile up the Spa Points by playing the Instant Games and the online bingo games and get yourself as many free tickets for the £2.5K Spa Experience game. Win Spa vouchers for free! Exchange 500 Spa points for one free ticket. Collect as many points as you can so you have a good number of free tickets. You can also buy tickets for this game at £1 a ticket. Hit a bingo on the Letter S or on the Brazilian pattern and earn 4 Spa points for every bingo. Earn 2 points for every £1 spent on bingo tickets and earn 1 Spa point for every £10 that you wager on the Instant Games at Posh Bingo. The points will come rolling in as you play and you have till midnight 29th March to collect points for free tickets. There’s an easy way to earn 200 points in one shot. Send in an email telling who you would take with you on your luxurious spa experience and why you choose that person. Would you go with your mum or would you share this treat with your best girl friend? Or would you ask your man to go with you? Who is it that would make your spa experience absolutely unforgettable? Send in your email and get a cool 200 Spa points. Earn another easy 100 Spa points with an email describing your favourite spa treatment and why it’s at the top of your list. Is it a mud mask or do you prefer the sea weed wrap, or are you nuts about a full on pampering pedicure? Send in these two emails and earn 300 Spa points altogether. The £2.5K Spa Experience game will play at 9.45pm on Sunday 3rd April in the £2.5K Spa Experience room which you will find under the Specials tab in the Posh Bingo games lobby. Earn free tickets or buy tickets in advance. Just make sure you’re in the game because if you get the first line you will win £500 worth of vouchers. The second line winner will waltz off with £750 worth of Spa vouchers and the full house winner will scoop Spa vouchers worth a whopping £1,250. Who knows, you might even win more than one of these tree prizes. Play the game to find out! Join the After Show Party and play heaps of bingo games with guaranteed prizes and play tons of chat games too with double chat points in every game. Don’t miss the £2.5K Spa Experience game this April at Posh Bingo. This entry was posted in Bingo Blog and tagged Posh Bingo on March 10, 2011 by Emma. Players visiting Posh Bingo always feel welcomed, whether they are brand new players, regulars or fiercely loyal players at the site! By playing at Posh players are really adding a touch of class to their online bingo play! Play it with style – Play it at Posh Bingo. Set yourself up to be a Big Winner, just like “CamtheCat” who grabbed £47,201.67 for herself (and her hubby too of course)! Enjoy too, that poshest of Posh Bingo promotions, the “£2.5k Spa Experience” while you’re playing at Posh too! Posh Bingo’s ‘Happy Half Term’ promotions really are in a class of their very own! Win yourself ‘extra JPs’, ‘prizes’ and ‘cash’ – UP UNTIL this coming Sunday, 27 February! DON’T DELAY any longer (if you haven’t started playing already) – GET GOING NOW! Yes, players, like it or not, the school ‘half-term’ is just around the corner so Posh Bingo have taken the trouble to put together a whole new timetable of “too-cool-for-school” promotions. During this time (that is up until next Sunday) Posh are DOUBLING THE DAILY JACKPOTS on the Posh Ton game! That means players, you will get £200 instead of £100 EVERY DAY too! Also, instead of just £10, the 1TG winners will share £20. IT’S A MUST that you log onto Posh Bingo and grab all the details about each of these great “Happy Half Term” games! This entry was posted in Bingo Blog and tagged Posh Bingo on February 22, 2011 by Emma.